General Atomics, San Diego, California, is being awarded a $737,000,000 not-to-exceed modification to a previously awarded undefinitized contract action (N00019-14-C-0037) for the procurement of one each Advanced Arresting Gear (AAG) and Electromagnetic Aircraft Launch System (EMALS) shipset in support of the CVN 79. This modification will provide for the manufacture, assembly, inspection, test and checkout of the EMALS and AAG delivered systems onboard the CVN 79 aircraft carrier, as well as non-recurring engineering, installation and checkout spares, repairs, technical data, and drawing changes. Work will be performed in San Diego, California (45 percent); Tupelo, Mississippi (26 percent); Mankato, Minnesota (9 percent); Cincinnati, Ohio (6 percent); Waltham, Massachusetts (6 percent); San Leandro, California (3 percent); New Milford, Connecticut (2 percent); Green Bay, Wisconsin (1 percent); Cameron, Texas (1 percent); and Aston, Pennsylvania (1 percent), and is expected to be completed in September 2022. Fiscal 2015 shipbuilding conversion (Navy) funds in the amount of $162,100,000 are being obligated at time of award, none of which will expire at the end of the current fiscal year. The Naval Air Systems Command, Patuxent River, Maryland, is the contracting activity. Material Sciences Corp.,* Horsham, Pennsylvania, is being awarded a $24,526,386 indefinite-delivery/indefinite-quantity contract. This is a Phase III effort under the Small Business Innovation Research (SBIR) program with Material Sciences Corp. and is for the use of innovative technologies developed under the Phase I and II contracts to design, analyze, and fabricate a wide array of structure and mechanical components intended for use by the Navy.The structural and mechanical components are fabricated from a wide selection of material systems from basic steel construction to advanced material systems that not only provide structural components, but also provide acoustic, thermal, radar cross-section and electrical solutions. Work will be performed in Horsham, Pennsylvania, and is expected to be completed by July 2020. Fiscal 2015 research, development, test and evaluation funding in the amount of $361,903 will be obligated at the time of award and will not expire at the end of the current fiscal year. This contract was not competitively procured as it is a follow-on SBIR effort. 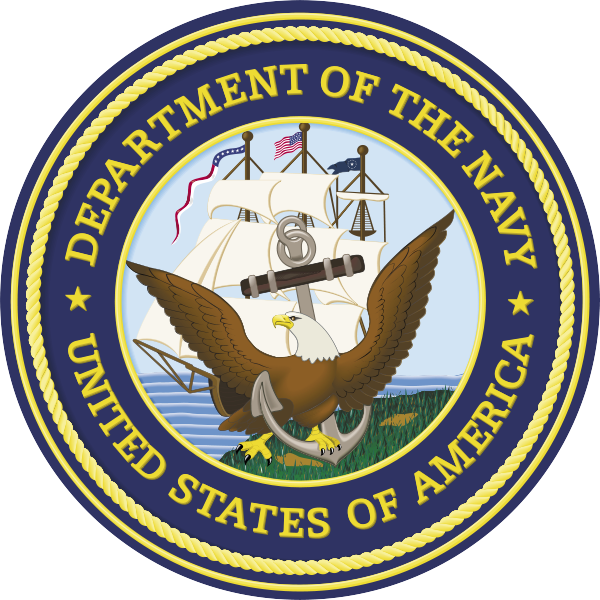 The Naval Surface Warfare Center, Carderock Division, Ship System Engineering Station, Philadelphia, Pennsylvania, is the contracting activity (N65540-15-D-0011). General Dynamics NASSCO, Norfolk, Virginia, is being awarded a $7,296,434 modification to previously awarded cost-plus-award fee, cost-plus-fixed-fee contract (N00024-11-C-4303) for USS George H.W Bush (CVN 77) fiscal 2015 planned incremental availability. The CVN multi-ship, multi-option contract addresses maintenance, repair and modernization efforts for CVN-68 class aircraft carriers homeported in and visiting the Hampton Roads, Virginia, area, as well as for selected non-nuclear propulsion work. Work will be performed in Portsmouth, Virginia, and is expected to be completed by February 2015. Fiscal 2015 operations and maintenance (Navy) funds in the amount of $7,046,551 will be obligated at time of award and will expire at the end of the current fiscal year. The Mid-Atlantic Regional Maintenance Center, Norfolk, Virginia, is the contracting activity. Grove U.S. LLC, Shady Grove, Pennsylvania, was awarded a $192,042,928 firm-fixed-price contract with options for Type II heavy cranes and support services and training. Funding and work location will be determined with each order with an estimated completion date of June 10, 2022. Bids were solicited via the Internet with two received. Army Contracting Command, Warren, Michigan, is the contracting activity (W56HZV-15-D-0052). Hensel Phelps Construction Co., Chantilly, Virginia, was awarded a $76,803,000 firm-fixed-price contract with options for demolition and construction for the Defense Logistics Agency. Work will be performed in Richmond, Virginia, with an estimated completion date of June 10, 2018. Bids were solicited via the Internet with seven received. Fiscal 2015 military construction funds in the amount of $76,803,000 were obligated at the time of the award. Army Corps of Engineers, Norfolk, Virginia, is the contracting activity (W91236-15-C-0045). Coleman Construction Inc.,* Los Angeles, California, was awarded a $45,000,000 firm-fixed-price indefinite-delivery/indefinite-quantity contract for emergency temporary roof repairs to support the Army Corps of Engineers and the Federal Emergency Management Agency disaster response. Work will be performed in Alabama, Connecticut, Delaware, Florida, Georgia, Louisiana, Maine, Maryland and the District of Columbia, Massachusetts, Mississippi, New Hampshire, New Jersey, New York, North Carolina, Pennsylvania, Rhode Island, South Carolina, Texas, and Virginia, with an estimated completion date of May 31, 2020. Funding will be determined with each order. Bids were solicited via the Internet with two received. Army Corps of Engineers, Omaha, Nebraska, is the contracting activity (W9128F-15-D-0026). Schutt Industries,* Clintonville, Wisconsin, was awarded a $44,531,810 firm-fixed-price multi-year contract for light tactical trailers – heavy chassis, Marine Corps chassis integration kits, and advanced medium mobile power source integration kits.. Funding and work location will be determined with each order with an estimated completion date of June 2, 2020. Bids were solicited via the Internet with four received. Army Contracting Command, Warren, Michigan, is the contracting activity (W56HZV-15-D-0067). Intevac Photonics,* Santa Clara, California, was awarded a $12,626,081 firm-fixed-price contract with options for Electronic Image Intensifier Ship-Set for Lot 4, Apache AH-64D/E Program. Work will be performed in Santa Clara, California, with an estimated completion date of Oct. 31, 2017. One bid was solicited with one received. Fiscal 2015 other procurement funds in the amount of $12,626,081 were obligated at the time of the award. Army Contracting Command, Redstone Arsenal, Alabama, is the contracting activity (W58RGZ-15-C-0052). Creative Times Inc.,* Ogden, Utah, was awarded a $11,361,000 firm-fixed-price contract with options design and build an F-22 flight simulator facility and an additional ball field at Nellis Air Force Base, Nevada, with an estimated completion date of Dec. 23, 2016. Bids were solicited via the Internet with nine received. Fiscal 2015 military construction funds in the amount of $11,361,000 were obligated at the time of the award. Army Corps of Engineers, Los Angeles, California, is the contracting activity (W912PL-15-C-0010). Sterlingwear of Boston,* Boston, Massachusetts, has been awarded a maximum $48,000,000 firm-fixed-price, indefinite-delivery/indefinite-quantity contract for men’s and women’s overcoats. This was a competitive acquisition with one response received. This is a one-year base contract with four one-year option periods. The maximum dollar amount includes the base year and all option periods. Location of performance is Massachusetts, with a Sept. 10, 2020, performance completion date. Using service is Navy. Type of appropriation is fiscal 2015 through fiscal 2020 defense working capital funds. The contracting activity is the Defense Logistics Agency Troop Support, Philadelphia, Pennsylvania (SPE1C1-15-D-1053). Crown Clothing Co,* Vineland, New Jersey, has been awarded a maximum $7,826,730 modification (P00104) exercising the second one-year option period of a one-year base contract (SPM1C1-13-D-1059) with four one-year option periods for men’s coats. This is a firm-fixed-price, indefinite-delivery/indefinite-quantity contract. Location of performance is New Jersey with a June 23, 2016, performance completion date. Using military service is Marine Corps. Type of appropriation is fiscal 2015 through fiscal 2016 defense working capital funds. The contracting activity is the Defense Logistics Agency Troop Support, Philadelphia, Pennsylvania. Rockwell Collins Inc., Cedar Rapids, Iowa, has been awarded a $36,608,758 modification (P00028) to previously awarded contract FA8807-12-C-0013 for Military GPS user equipment. Contractor will enhance military GPS software code and deliver additional pre-prototype GPS receiver cards in order to support faster fielding of M-Code capable GPS receivers to the warfighter. Work will be performed at Cedar Rapids, Iowa, and is expected to be complete by Feb. 28, 2017. Fiscal 2014 research, development, test and evaluation funds in the amount of $16,719,409 are being obligated at the time of award. The Space and Missile Systems Center, Los Angeles Air Force Base, California, is the contracting activity. Raytheon Missile Systems Co., Tucson, Arizona, has been awarded a $30,947,228 fixed-price incentive firm contract FA8672-15-C-0136 to exercise an option to previously awarded contract FA8672-10-C-0002 for Small Diameter Bomb II (SDB II). Contractor will provide low-rate initial production for 144 SDB II Lot 1 munitions, 156 SDB II Lot 1 single weapon containers, eight SDB II weapon load crew trainers and conventional munitions maintenance trainers, four SDB II Lot 1 practical explosive ordnance disposal system trainers, and data. Work will be performed at Tucson, Arizona, and is expected to be complete by May 30, 2017. Fiscal 2015 missile procurement funds in the amount of $30,947,228 are being obligated at the time of award. The Air Force Life Cycle Management Center, Eglin Air Force Base, Florida, is the contracting activity. Harris Information Technology Services Inc., Herndon, Virginia, has been awarded a $13,322,847 modification (P00157) to exercise of an option on previously awarded contract FA2550-08-C-8011. Contractor will provide an additional three months of operations, maintenance and logistics support of the Air Force Satellite Control Network antenna sites world-wide, as well as various communications, operations, software and related support services, to the 50th Space Wing, Schriever Air Force Base, Colorado. Work will be performed at Schriever Air Force Base, Colorado; Colorado Springs, Colorado; Vandenberg Air Force Base, California; Diego Garcia, British Indian Ocean Territory; Andersen Air Force Base, Guam; Kaena Point, Hawaii; New Boston Air Force Station, New Hampshire; Cape Canaveral Air Force Station, Florida; and Thule Air Base, Greenland, and is expected to be complete by Sept. 29, 2015. No funds are being obligated at the time of award. The 50th Contracting Squadron, Schriever Air Force Base, Colorado, is the contracting activity (FA2550-08-C-8011). Moog Inc., East Aurora, New York, has been awarded an $11,451,880 firm-fixed-price, indefinite-delivery/indefinite-quantity contract to provide B-1B servocylinders of various types. Work will be performed at East Aurora, New York, and is expected to be complete by April 30, 2020. This award is the result of a competitive acquisition with two offers received. Fiscal 2015 Consolidated Sustainment Activity Group funds in the amount of $699,878 are being obligated at the time of award for Delivery Order 0001. 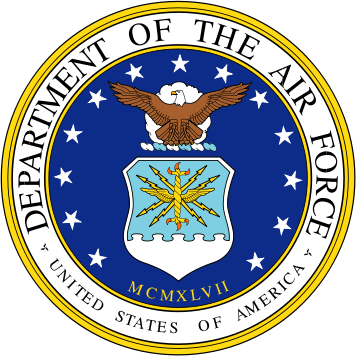 Air Force Sustainment Center, Tinker Air Force Base, Oklahoma, is the contracting activity (FA8118-15-D-0022). estimated completion date of January 2017. Fiscal 2015 procurement funds in the amount of $8,294,467 are being obligated on this award. 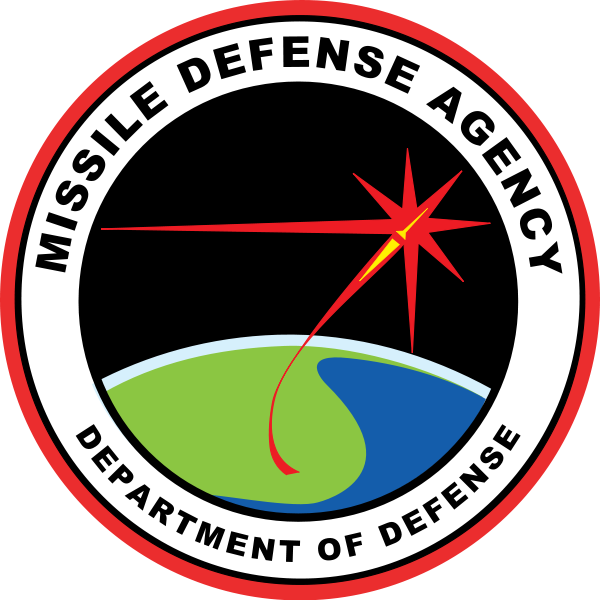 The Missile Defense Agency, Huntsville, Alabama, is the contracting activity. McKesson Corp., San Francisco, California, has been awarded a maximum $6,128,846,850 modification (P00004) exercising the first 30-month option period of a 30-month base contract (SPM2DX-13-D-1000) with three 30-month option periods for replenishment pharmaceuticals to furnish the Tricare pharmacy supporting 9.5 million active-duty service members, retirees and their dependents. This is a firm-fixed-price contract. Locations of performance are California and Arizona, with a Dec. 16, 2017, performance completion date. Using service is Department of Defense. Type of appropriation is fiscal 2015 through fiscal 2018 defense working capital funds. 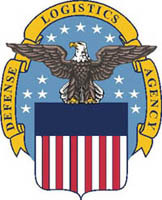 The contracting activity is the Defense Logistics Agency Troop Support, Philadelphia, Pennsylvania. M&M Manufacturing LLC,* Lajas, Puerto Rico, has been awarded a maximum $25,400,632 modification (P00009) exercising the first one-year option period of a one-year base contract (SPE1C1-14-D-1048) with four one-year option periods for working uniforms. This is a firm-fixed-price, indefinite-delivery/indefinite-quantity contract. Location of performance is Puerto Rico, with a June 15, 2016, performance completion date. Using military service is Navy. Type of appropriation is fiscal 2015 through fiscal 2016 defense working capital funds. The contracting activity is the Defense Logistics Agency Troop Support, Philadelphia, Pennsylvania. Anda Inc., Weston, Florida, has been awarded a maximum $12,275,539 fixed-price with economic-price-adjustment, indefinite-delivery/indefinite-quantity contract to support the pharmaceutical vendor managed inventory program, which provides sustainment material during contingency operations. This was a competitive acquisition with two responses received. Location of performance is Florida, with a June 10, 2016, performance completion date. Using services are Army, Navy, Air Force, Marine Corps and federal civilian agencies. Type of appropriation is fiscal 2015 through fiscal 2016 Warstopper funds. The contracting activity is the Defense Logistics Agency Troop Support, Philadelphia, Pennsylvania (SPE2D0-15-D-0004). Dell Federal Systems LP, Round Rock, Texas [W91QUZ-07-D-0006 (P0021)]; IBM Corp., Bethesda, Maryland [W91QUZ-07-D-0007 (P00019)]; Unicom Government Inc.,* Herndon, Virginia [W91QUZ-07-D-0008 (P00019)]; CDW Government LLC, Vernon Hills, Illinois [W91QUZ-07-D-0009 (P00025)]; Iron Bow Technologies LLC,* Chantilly, Virginia [W91QUZ-07-D-0010 (P00027)]; and World Wide Technology Inc., Maryland Heights, Missouri [W91QUZ-07-D-0011 (P0021)], were awarded a $652,000,000 modification for information technology enterprise solutions. Funding and work location will be determined with each order with an estimated completion date of June 23, 2016. Army Contracting Command, Rock Island Arsenal, Illinois, is the contracting activity. Raytheon Co., McKinney, Texas, was awarded a $56,358,876 modification (P00029) to contract W56HZV-12-C-0046 for turret weapons system modernization for 34 Marine Corps Light Armored Vehicles. Work will be performed in McKinney, Texas, with an estimated completion date of Dec. 10, 2017. Fiscal 2014 and 2015 other procurement funds in the amount of $56,358,876 were obligated at the time of the award. Army Contracting Command, Warren, Michigan, is the contracting activity. Boeing Co., Mesa, Arizona, was awarded a $41,146,387 firm-fixed-price foreign military sales contract (Saudi Arabia) for Apache post-production services and maintenance. Work will be performed in Mesa, Arizona, with an estimated completion date of June 11, 2020. One bid was solicited and one received. Other procurement funds in the amount of $5,928,300 were obligated at the time of the award. Army Contracting Command, Redstone Arsenal, Alabama, is the contracting activity (W58RGZ-15-C-0048). RLB Contracting Inc.,* Port Lavaca, Texas, was awarded a $6,956,000 firm-fixed-price contract for deep draft maintenance dredging of the Brazos Island Harbor; the Brownsville Ship Channel, Inside Channel; and the Port Isabel Channel, Texas, with an estimated completion date of Dec. 24,2015. Bids were solicited via the Internet with four received. Fiscal 2015 other procurement funds in the amount of $6,956,000 were obligated at the time of the award. Army Corps of Engineers, Galveston, Texas, is the contracting activity (W9126G-15-C-0021). Raytheon Co., McKinney, Texas, is being awarded a $152,886,443 firm-fixed-price contract to provide 53 APY-10 radar system production kits and related support for the P-8A Poseidon full-rate production aircraft (Lot 2 through Lot 6) for the Navy (46) and the government of Australia (7). Work will be performed in McKinney, Texas (79.2 percent); Chelmsford, Massachusetts (3.9 percent); Little Falls, New Jersey (3.1 percent); San Carlos, California (1.6 percent); Black Mountain, North Carolina (1.4 percent); Ontario, Canada (1.3 percent); Ashburn, Virginia (1.2 percent); Poway, California (1.2 percent); Simsbury, Connecticut (1.1 percent); Sunnyvale, California (0.5 percent); Philadelphia, Pennsylvania (0.6 percent); Boston, Massachusetts (0.6 percent); and various other locations in the continental U.S. (4.3 percent). Work is expected to be completed in August 2021. Fiscal 2015 aircraft procurement (Navy) funds and other customer funds in the amount of $58,935,111 are being obligated at time of award, none of which will expire at the end of the current fiscal year. This contract combines purchases for the Navy ($134,585,937; 88 percent) and the government of Australia ($18,300,506; 12 percent) under a cooperative agreement. This contract was not competitively procured pursuant to Federal Acquisition Regulation 6.302-1. The Naval Air Systems Command, Patuxent River, Maryland, is the contracting activity (N00019-15-C-0116). BAE Systems Land & Armaments, Minneapolis, Minnesota, is being awarded an $18,242,666 firm-fixed-priced undefinitized contract action (N00024-15-C-4103) for procurement and delivery of long lead time material in support of Virginia-class submarines Block IV propulsor system requirements. This undefinitized contract action for procurement of long lead time material is required to support the manufacture and delivery of Virginia-class propulsors to meet critical mission requirements and in-yard-need dates for the construction of SSN 794 (name TBD) and SSN 795 (PCU Rickover). Work will be performed in Louisville, Kentucky, and is expected to be complete by September 2016. Fiscal 2014 shipbuilding and conversion (Navy) funding in the amount of $3,574,232 will be obligated at the time of award and will not expire at the end of the current fiscal year. The Naval Sea Systems Command, Washington, District of Columbia, is the contracting activity. Solpac Construction Inc., doing business as Soltek Pacific Construction Co., San Diego, California, is being awarded $14,467,000 for firm-fixed-price task order 0006 under a previously awarded multiple award construction contract (N62473-10-D-5411) for design and construction to re-purpose Hangar 5 Module 1 to accommodate the F-35C Joint Strike Fighter aircraft maintenance requirements at Naval Air Station, Lemoore. The project provides a building addition and modification of existing spaces of Hangar 5, including the renovation of Module 1 hangar work bay and support spaces, and site development work. Site development work includes privately-owned vehicle parking lot reconfiguration, aircraft parking apron restriping and support utilities points of connection. The task order also contains two unexercised options and one planned modification, which if exercised would increase cumulative task order value to $16,479,730. Work will be performed in Lemoore, California, and is expected to be completed by August 2016. Fiscal 2015 military construction (Navy) contract funds in the amount of $14,467,000 are being obligated on this award and will not expire at the end of the current fiscal year. Six proposals were received for this task order. The Naval Facilities Engineering Command, Southwest, San Diego, California, is the contracting activity. Vericor Power Systems LLC, Alpharetta, Georgia, is being awarded a $12,772,600 firm-fixed-price contract for the manufacture, testing and delivery of marine gas turbine engines in support of the Landing Craft Air Cushion (LCAC) service life extension program (SLEP) as well as the repair and refurbishment of output group modules for LCAC engines. The LCAC engines are an integral part of the LCAC SLEP. These engines are provided to the SLEP contractor as government-furnished equipment for installation into existing LCACs. The SLEP will extend the service life of LCAC from 20 to 30 years; sustain and enhance craft capability; replace obsolete electronics; repair corrosion damage; reduce life cycle cost by improving reliability and maintainability; increase survivability; and establish a common configuration baseline. This contract includes options which, if exercised, would bring the cumulative value of this contract to $38,880,264. Work will be performed in Winnipeg, Manitoba, Canada, and is expected to be completed by May 2016. Fiscal 2015 shipbuilding and conversion (Navy) funding in the amount of $12,772,600 will be obligated at time of award and will not expire at the end of the current fiscal year. The contract was not competitively procured in accordance with Federal Acquisition Regulation 6.302-1 – only one responsible source and no other supplies or services will satisfy agency requirements. The Naval Sea Systems Command, Washington, District of Columbia, is the contracting activity (N00024-15-C-4100). Five companies have each been awarded an indefinite-delivery/indefinite-quantity, fixed-price with economic-price-adjustment contracts to provide commercial multimodal transportation services. They are: American President Lines LTD Inc., Scottsdale, Arizona (HTC711-15-D-R048); Farrell Lines Inc., Norfolk, Virginia (HTC711-15-D-R044); Kalitta Air LLC,* Ypsilanti, Michigan (HTC711-15-D-R047); Liberty Global Logistics LLC, Lake Success, New York (HTC711-15-D-R045); and National Air Cargo Group Inc.,* Orlando, Florida (HTC711-15-D-R046). The total cumulative face value of the program is estimated at $145,690,000. Work will be performed at worldwide locations as specified on each individual task order, with an expected completion date of July 31, 2016. Type of appropriation is fiscal 2015 and 2016 transportation working capital funds to be obligated on individual task orders. 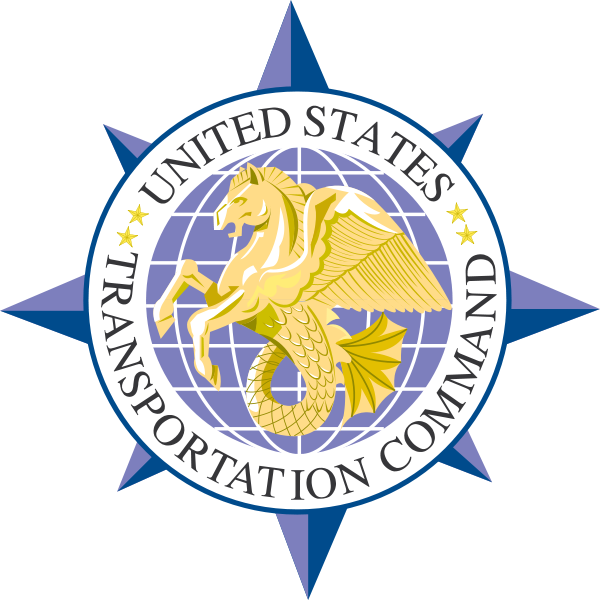 The U.S. Transportation Command Directorate of Acquisition, Scott Air Force Base, Illinois, is the contracting activity. Spectral Energies, Dayton, Ohio, has been awarded a not-to-exceed $33,000,000 indefinite-delivery/indefinite-quantity contract for research for Aerospace Systems Directorate. Contractor will develop and apply laser-based diagnostic techniques. A further emphasis of the program is to develop non-invasive techniques to visualize and quantify the flow field, fluid parameters and key species concentrations present in combustion processes. Research entails a combination of testing and modifying existing research rigs to pursue new and novel ideas, and develop these techniques for use in component research rigs. Work will be performed at Wright Patterson Air Force Base, Ohio, and is expected to be complete by June 12, 2023. This award is the result of a competitive acquisition with two offers received. Fiscal 2015 research development test and evaluation funds in the amount of $1,600,000 are being obligated at the time of award for task order 0001. Air Force Research Laboratory, Wright Patterson Air Force Base, is the contracting activity (FA8650-15-D-2518). Ball Aerospace & Technologies Corp. Systems Engineering Solutions, Boulder, Colorado, was awarded on May 29, 2015, a not-to-exceed $21,000,000 indefinite-delivery/indefinite-quantity contract for laser interaction testing. Contractor will provide well-controlled experimental procedures to quantify the effects of high power continuous-wave (up to MW Class) and high energy pulsed (kJ) lasers interacting with individual materials, multi-material subsystems, and fully functional targets. Work will be performed at Kirtland Air Force Base, New Mexico, and is expected to be complete by May 28, 2020. This award is the result of a competitive acquisition with six offers received. Fiscal 2015 research, development, test, and evaluation funds in the amount of $3,098,497 are being obligated at the time of award for task order 0001. The Air Force Research Laboratory, Kirtland Air Force Base, New Mexico, is the contracting activity (FA9451-15-D-0044). Ball Aerospace & Technologies Corp., Systems Engineering Solutions, Boulder, Colorado, was awarded on May 11, 2015, a not-to-exceed $11,145,000 indefinite-delivery/indefinite-quantity contract for laser target interaction modeling and simulation. Contractor will conduct research leading to the development of advanced computational methods for predicting the physical phenomenology resulting from high energy laser interactions. Work will be performed at Kirtland Air Force Base, New Mexico, and is expected to be complete by May 8, 2020. This award is the result of a competitive acquisition with 10 offers received. Fiscal 2015 research, development, test, and evaluation funds in the amount of $1,012,000 are being obligated at the time of award for task order 0001. The Air Force Research Laboratory, Kirtland Air Force Base, New Mexico, is the contracting activity (FA9451-15-D-0046). Leidos Inc. S&R and Intelligence Systems Services, Reston, Virginia, was awarded on May 29, 2015, a not-to-exceed $8,000,000 indefinite-delivery/indefinite-quantity contract for target vulnerability assessments and data analysis. Contractor will provide conduct assessments that combine target vulnerability data from testing, target optical signature measurements, target exploitation intelligence, system-level fault tree and failure mode analysis, shotline dependency, and computational predictive results into a comprehensive probabilistic vulnerability assessment. Work will be performed at Kirtland Air Force Base, New Mexico, and is expected to be complete by May 31, 2020. This award is the result of a competitive acquisition with nine offers received. Fiscal 2015 research development test and evaluation funds in the amount of $357,000 are being obligated at the time of award for task order 0001. The Air Force Research Laboratory, Kirtland Air Force Base, New Mexico, is the contracting activity (FA9451-15-D-0045). Leidos Inc. S&R and Intelligence Systems Services, Reston, Virginia, was awarded on May 29, 2015, a not-to-exceed $7,000,000 indefinite-delivery/indefinite-quantity contract for laser interaction testing. Contractor will provide well-controlled experimental procedures to quantify the effects of high power continuous-wave (up to MW Class) and high energy pulsed (kJ) lasers interacting with individual materials, multi-material subsystems, and/or fully functional targets. Work will be performed at Kirtland Air Force Base, New Mexico, and is expected to be complete by May 28, 2020. This award is the result of a competitive acquisition with six offers received. Fiscal 2015 research, development, test, and evaluation funds in the amount of $48,873 are being obligated at the time of award for task order 0001. The Air Force Research Laboratory, Kirtland Air Force Base, New Mexico, is the contracting activity (FA9451-15-D-0047). National Aerospace Solutions LLC, Reston, Virginia, has been awarded a cost-plus-award-fee contract with an estimated value of $1,500,000,000 for test operations and sustainment of Arnold Engineering Development Complex. Contractor will provide test operations, technology development, equipment and facility sustainment, capital improvements, and support. Work will be performed at Arnold Air Force Base, Tennessee; Moffett Field, California; and White Oak, Maryland, and is expected to be complete by Sept. 30, 2023. This award is the result of a competitive acquisition with four offers received. Fiscal 2015 research, development, test and evaluation funds in the amount of $2,000,000 are being obligated at the time of award. Air Force Test Center, Arnold Air Force Base, Tennessee, is the contracting activity (FA9101-15-C-0500). Jacobs Technology Inc., Lincoln, Massachusetts, has been awarded a $6,804,512 cost-plus-fixed-fee and cost-reimbursable modification (P00056) to exercise the option on previously awarded contract FA8721-14-C-0018 for engineering and technology acquisition support services. Contractor will provide disciplined systems and specialty engineering; technical and information assurance services; support; and products using established government, contractor, and industry processes. Work will be performed at Hanscom Air Force Base, Massachusetts, and is expected to be complete by Oct. 31, 2015. No funds are being obligated at the time of award. Air Force Lifecycle Management Center, Hanscom Air Force Base, Massachusetts, is the contracting activity. CORRECTION: The contract awarded to United Technologies Corp., doing business as Pratt & Whitney on June 3, 2015, was actually awarded on June 9, 2015. All other contract information is accurate (FA8121-10-D-0008). General Dynamics Ordinance and Tactical Systems Inc., St. Petersburg, Florida, was awarded a $225,599,037 firm-fixed-price, five-year, indefinite-delivery/indefinite-quantity contract for the demilitarization recycling, reuse, and disposal of various conventional munitions. Funding and work location will be determined with each order, with an estimated completion date of June 30, 2020. Bids were solicited via the Internet with two received. Army Contracting Command, Rock Island Arsenal, Illinois, is the contracting activity (W52P1J-15-D-0070). Expal USA Inc., Longview, Texas, was awarded a $155,884,655 037 firm-fixed-price, five-year, indefinite-delivery/indefinite-quantity contract for the demilitarization recycling, reuse, and disposal of various conventional munitions. Funding and work location will be determined with each order, with an estimated completion date of June 30, 2020. Bids were solicited via the Internet with two received. Army Contracting Command, Rock Island Arsenal, Illinois, is the contracting activity (W52P1J-15-D-0071). Canadian Commercial Corp., Ottawa, Canada, was awarded a $70,000,000 firm-fixed-price indefinite-delivery/indefinite-quantity contract to procure interim contractor support and MX sensor sustainment. This effort includes the procurement of MX sensor systems, MX sensor spare and repair parts, MX emulators, MX simulators, and services to include modification of MX sensors, platform integration, field service representatives, repair services, program management support, engineering support, integrated product support, safety, quality assurance, and configuration management. Funding and work location will be determined with each order with an estimated completion date of June 9, 2018. One bid was solicited with one received. Army Contracting Command, Aberdeen, Maryland, is the contracting activity (W56KGY-15-D-0007). Northrop Grumman Systems Corp., Herndon, Virginia, was awarded a $16,172,045 cost-plus-fixed-fee contract to modify current wideband remote monitoring sensor software to support wideband global satellite communication upgrades. Work will be performed in Herndon, Virginia, with an estimated completion date of March 7, 2018. One bid was solicited with one received. Fiscal 2014 and 2015 other procurement (Army) funds in the amount of $16,172,045 were obligated at the time of the award. Army Contracting Command, Rock Island Arsenal, Illinois, is the contracting activity (W52P1J-15-C-0055). DynCorp International LLC, McLean, Virginia, is being awarded an $18,286,060 modification to previously awarded cost-plus-incentive-fee contract N62742-12-C-3525 to exercise the third option period to provide services for Philippines operations support in the Republic of the Philippines for the Joint Special Operations Task Force – Philippines. The work to be performed provides for all labor, supervision, management, tools, materials, equipment, facilities, transportation, incidental engineering, and other items necessary to provide support services. After award of this option, the total cumulative contract value will be $154,010,884. Work will be performed in the Republic of the Philippines, and work is expected to be completed by June 2016. Fiscal 2015 operation and maintenance (Navy) contract funds in the amount of $2,354,000 are being obligated on this award and will expire at the end of the current fiscal year. The Naval Facilities Engineering Command, Pacific, Pearl Harbor, Hawaii, is the contracting activity. Dillon Aero Inc., Scottsdale, Arizona, is being awarded a $12,500,000 firm-fixed-price, indefinite-delivery/indefinite-quantity contract for the MK44 minigun system and sustainment parts. The MK44 is an externally driven, multiple barrel gun. The MK44 Minigun System and sustainment parts are integrated onto various land, sea and air weapon platforms that provide area suppression and support. Work will be performed in Scottsdale, Arizona, and is expected to be completed by June 2020. Fiscal 2015 operations and maintenance (Defense) funds in the amount of $13,504 will be obligated at time of award and will expire at the end of the current fiscal year. This contract was not competitively procured in accordance with Federal Acquisition Regulation 6.302-1 – only one responsible source and no other supplies or services will satisfy agency requirements. The Naval Surface Warfare Center, Crane Division, Crane, Indiana, is the contracting activity (N00164-15-D-JN06). BAE Systems, Honolulu, Hawaii, is being awarded a $9,500,000 modification to previously awarded contract N00024-14-C-4412 for the repair and alteration of USS O’Kane (DDG 77). USS O’Kane is undergoing a scheduled drydocking selected repair availability, which is the opportunity in the ship’s life cycle to primarily conduct repair and alteration to systems and hull not available when the ship is waterborne. Work is being performed in Pearl Harbor, Hawaii, and is expected to be completed by November 2015. Fiscal 2015 operations and maintenance (Navy) contract funds in the amount of $9,500,000 will be obligated at time of award and will expire at the end of the current fiscal year. The Pearl Harbor Naval Shipyard and Intermediate Maintenance Facility, Pearl Harbor, Hawaii, is the contracting activity. Blackbox Biometrics Inc.,* Rochester, New York, has been awarded a maximum $9,371,520 firm-fixed-price contract for concussive force monitoring devices. This was a sole-source acquisition using justification commercial Federal Acquisition Regulation part 12. Location of performance is New York, with a June 9, 2016, performance completion date. Using service is Army. Type of appropriation is fiscal 2015 through fiscal 2016 defense working capital funds. The contracting activity is the Defense Logistics Agency Land and Maritime, Columbus, Ohio (SPE7M9-15-C-0034). Environmental Chemical Corp., Burlingame, California (FA8903-15-D-0020); MWH Americas Inc., Broomfield, Colorado (FA8903-15-D-0021); URS International Inc., San Antonio, Texas (FA8903-15-D-0022); AMEC Foster Wheeler Environment & Infrastructure Inc., Blue Bell, Pennsylvania (FA8903-15-D-0023); Tetra Tech Inc., Pasadena, California (FA8903-15-D-0024); and CH2M HILL Inc., Englewood, Colorado (FA8903-15-D-0025), have been awarded a combined $48,000,000 indefinite-delivery/indefinite-quantity (IDIQ) contract. This contract encompasses the full range of methods, technologies, and supporting activities necessary to conduct environmental services and environmental construction efforts to address environmental needs in accordance with technical, legal, and policy requirements. This award is the result of a competitive source selection. Work performance will take place in the following locations: U.S. Air Forces in Europe (USAFE) installations and other locations to include but not limited to: Aviano Air Base, Italy; Incirlik Air Base, Turkey; Izmir Air Base, Turkey; Lajes Field, Azores, Portugal; Moron Air Base, Spain; Ramstein Air Base, Germany; Royal Air Force Alconbury, United Kingdom; Royal Air Force Croughton, United Kingdom; Royal Air Force Fairford, United Kingdom; Royal Air Force Lakenheath, United Kingdom; Royal Air Force Menwith Hill, United Kingdom; Royal Air Force Mildenhall, United Kingdom; and Spangdahlem Air Base, Germany, and all geographical locations included in the USAFE mission. No funds will be obligated at award of the basic IDIQ contracts. Appropriate fiscal year funds will be obligated on all subsequent task orders. The expected completion date is June 8, 2023. The contracting activity is the 772nd Enterprise Sourcing Squadron, Joint Base San Antonio, Texas. Tetra Tech EC Inc., San Diego, California, is being awarded a $20,928,382 cost-plus-award-fee modification to increase the maximum dollar value of a previously awarded indefinite-delivery/indefinite-quantity contract task order (N62473-13-D-4808) for the Site 19 sediment remedial action at Naval Station Newport. The work to be performed provides for sediment dredging and capping to Site 19, former Derecktor Shipyard located at Coddington Cove, of Naval Station Newport, Rhode Island. The scope of work includes work plan and health and safety plan development, and fieldwork (inclusive of sediment dredging and installing submarine cap). This action will be performed in accordance with the Comprehensive Environmental Restoration, Conservation, and Liability Act; Executive Order 12580; and the National Oil and Hazardous Substances Pollution Contingency Plan. After award of this modification, the total cumulative contract task order value will be $20,943,869. Work will be performed in Newport, Rhode Island, and is expected to be completed by June 2018. Fiscal 2015 environmental restoration (Navy) contract funds in the amount of $20,928,382 are being obligated on this award and will expire at the end of the current fiscal year. The Naval Facilities Engineering Command, Mid-Atlantic, Norfolk, Virginia, is the contracting activity. Microsoft Corp., Redmond, Washington, is being awarded a $9,149,000 firm-fixed-price modification to a previously awarded contract (N00039-14-C-0101) for Microsoft Premier Support services and Microsoft Custom Support services for Windows XP, Office 2003, Exchange 2003 and Server 2003. Microsoft Premier Support services and Microsoft Custom Support services are required to provide critical software hotfixes to sustain deployed capabilities. This contract includes options which, if exercised, would bring the cumulative value of this contract to an estimated $30,842,980. Work will be performed globally and is expected to be completed by July 12, 2016. If all options are exercised, work could continue until June 8, 2017. Fiscal 2015 operations and maintenance (Navy) in the amount of $9,149,000 will be obligated at the time of award, and the funds will expire at the end of the current fiscal year. This contract was not competitively procured because it is a sole-source action awarded under the authority of 10 U.S.C. 2304(c)(1) – only one responsible source. The Space and Naval Warfare Systems Command, San Diego, California, is the contracting activity. 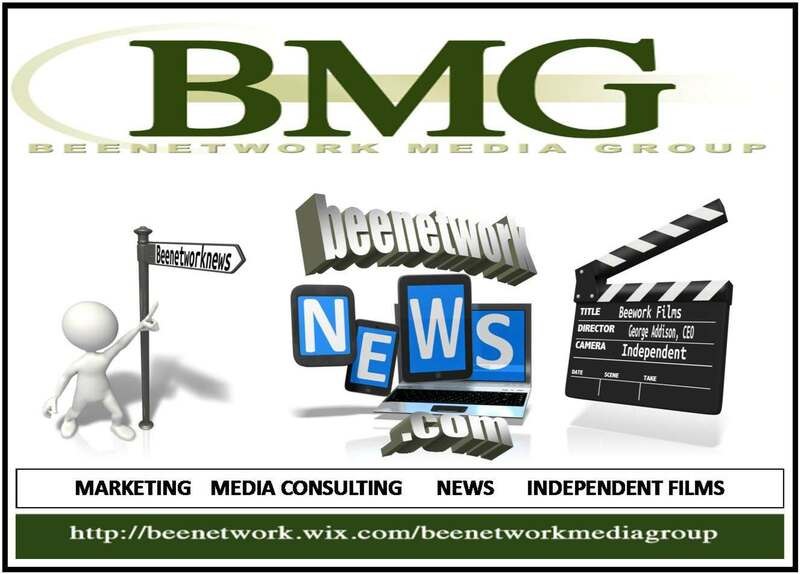 Azimuth Consulting Services Inc.,* Fairfax, Virginia (W15QKN-15-D-0024); and The Shenton Group Inc.,* Troy, Michigan (W15QKN-15-D-0025), were awarded a $9,600,000 firm-fixed- price contract for contractor services to support the organic convention ammunition industrial base and demilitarization via industrial, architectural and civil engineering to support modernization efforts at the governmentowned, contractor-operated facilities, provide engineering studies, economic evaluations, business case analysis, and overall strategic planning and process optimization. Furthermore, contractor support will provide analysis and implementation plans for single point failures and armament retooling and manufacturing support programs. Funding and work location will be determined with each order with an estimated completion date of June 4, 2020. Bids were solicited via the Internet with two received. Army Contracting Command, Picatinny Arsenal, New Jersey, is the contracting activity.